Do you feel the call of the open road? It happens to everyone no matter where they live. Sometimes you just need a change of scenery to get your groove back or find some inspiration. Sometimes there’s something you’ve always wanted to see but haven’t yet. You may even want to take your friends or family to see someplace awesome. While a plane flight might be faster, there’s something about a road trip that makes a vacation different and helps you to make memories that you’ll cherish your whole life long. Here are some great road trips from Philadelphia. What is there to see in New York, New York? What isn’t there to see in New York! The Big Apple offers something for everyone, whether you want to sightsee, take in some culture, eat some of the best food in the world, do some shopping, or just about anything else. If you start early from Philly, New York City can even be a day trip, though with so much to see and do, it is well worth taking a weekend or even longer to explore and enjoy. Atlantic City is big on personality and offers plenty to do, whether you want to visit some casinos over a long weekend or enjoy a bachelor party. You can hit up the beaches and boardwalk during the day (if the weather’s right), and then do some gambling at night. There’s also plenty of unique shopping and dining, as well as some great bars and clubs that you can’t find anywhere else. No matter when you go to Atlantic City, there will almost always be some amazing event going on, whether it’s a concert, a parade, or a festival. Rent your bus and have the party of a life time! If you love chocolate, Hershey, PA is for you. Known as “the Sweetest Place on Earth”, Hershey is the home of Hershey’s and their original chocolate factory. You can visit Hersheypark, an amusement park themed with more than 70 rides and attractions, or experience some amazing eating and dining. There is something to do for just about everyone in Hershey and it’s a great place for a vacation or just a day trip. The Gettysburg battlefield is an unforgettable experience for everyone who visits. There are daily educational programs and every year sees reenactors come to the site to offer visitors a taste of living history. A trip to Gettysburg will be beautiful and haunting. It is not something any resident of Philadelphia should miss out on. 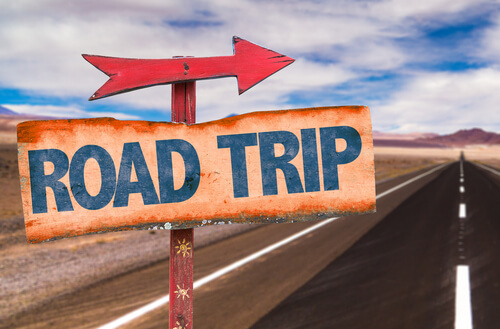 If any of these destinations seem perfect for your next road trip vacation out of Philadelphia, let us at Chic’s Limousine help you get there! We have one of the best vehicle fleets in Philly and our drivers are here to help you make your trip comfortable, fun, safe, and memorable. Contact us today to see how we can help you hit the road!